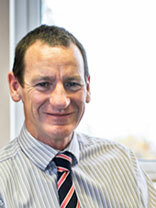 Gordon Whelan trained as an accountant with Spicer and Pegler, Chartered Accountants, Southampton. After qualification, Gordon held senior positions in a number of small and medium sized businesses. He acted as financial controller and then finance director of a publicly quoted software development company. He set up his own accountancy practice in 2005, providing accountancy and consultancy services and specialising in service charge accounting. His leasehold expertise includes interim management appointment as general manager of an ARMA managing agent. Gordon Whelan Associates Limited specialise in the certification of service charge accounts for the residential sector. The firm contributed to the development of TECH03/11, the best practice guidance on the preparation of service charge accounts and has also made a significant contribution to the debate on statutory accounting for Residents’ Management Companies. The firm is committed to best practice for service charge accounting and provide advice to directors of Residents’ Management Companies throughout the country.